The Kusshi is a suspended tray grown pacific oyster that is repeatedly tumbled during the course of its grow out. It is raised in Deep Bay, which is on the east side of Vancouver Island in British Columbia. The frequent tumbling is labor intensive and time consuming but produces an incredibly round and uniform oyster with a smooth, hard shell. Its flavor tends to start salty, then turns quite sweet thanks to the plump full meat, and finishes with a mildly fruity aftertaste. 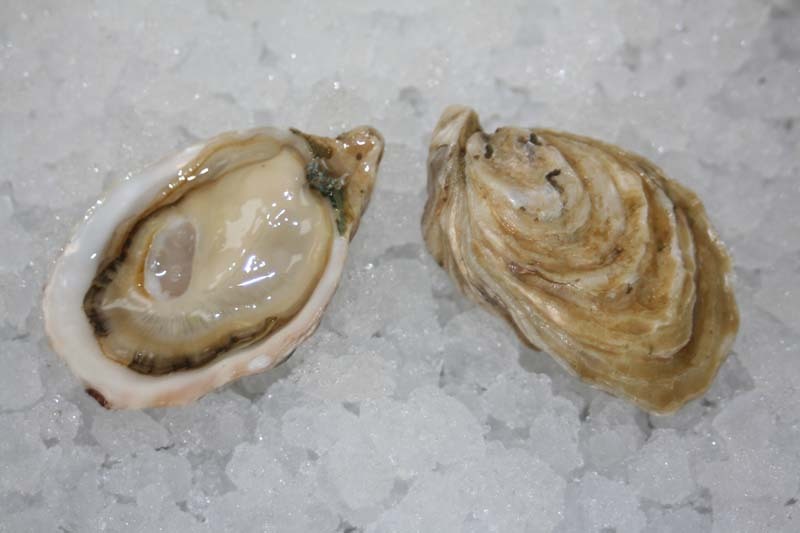 Kusshi Oyster - Marinelli Shellfish Co.